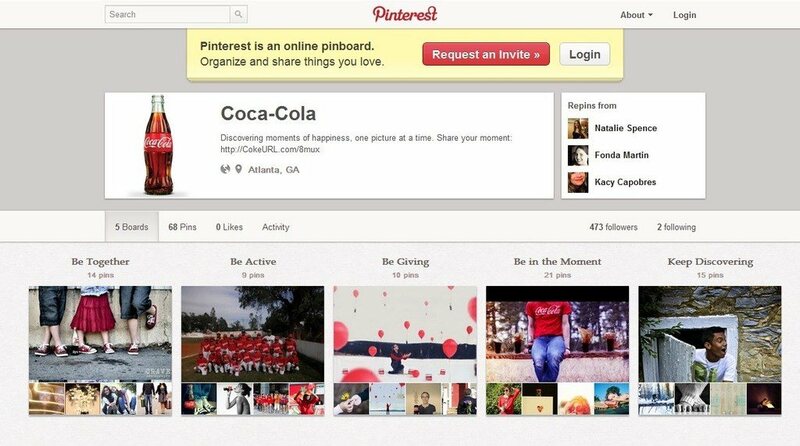 Pinterest, the invite only social network is attracting new users at a quicker rate than any website ever. Here are some basic figures that are attracting brands and marketers alike to scramble for their invite to the photo sharing website. To say Pinterest had grown in popularity over recent months would be a slight understatement. In fact to say the site’s popularity has exploded would be much closer to mark. Pinterest is a photo sharing network that allows users to ‘pin’ images they like to personal boards that represent different aspect of their lives. The photo sharing site reached 10 million monthly visitors faster than any other site including Facebook and Twitter. Not only is the large volume of users grabbing the attention of marketers but it is the demographic of these users that is even more appealing. Rather than the tech minded whizz kids who would be expected to drive the traffic of a new social network, it is actually women who make up the majority of Pinterest’s million of users, 97% in fact. The amount of time Pinterest users are spending on the site and the amount of traffic referral coming from the photo sharing site is also another major pull for brands who are thinking of exploring new social media avenues. Anyone that has used Pinterest will agree how addicting the social network is and figures have shown American users of the social network spent an average of 1 hour and 7 minutes on the site per visit, compared to just 36 minutes on Twitter and 6 minutes on Google+. Impressive as Pinterest’s user and engagement figures may be, they’re not the only statistics worth taking note of. Pinterest’s referral traffic statistics are also astonishing for a site is that is just two years old and is still invite online. This month, Pinterest surpassed Twitter in website traffic referrals, now meaning the photo sharing site is only behind Facebook in terms of social media effectively driving traffic to blogs and websites. With the sort of figures that Pinterest is churning out it is no wonder more and more brands are flocking to the site wanting to grab some attention. Like all social media, the brands that are excelling on Pinterest are those that are getting involved with all that the photo sharing site has to offer and not merely using the site as a blatant sales pitch. Some of the major brands with a presence on Pinterest already include McDonalds, who pin a range of photos from items off their menu, as well as creating boards showing the different interior of McDonald restaurants worldwide. Much like the other social networks that brands are already exploring, it is very much how engaged brands are with the network that matters. One thing that is certain, with the figures that Pinterest are racking up it looks like it is definitely here to stay.